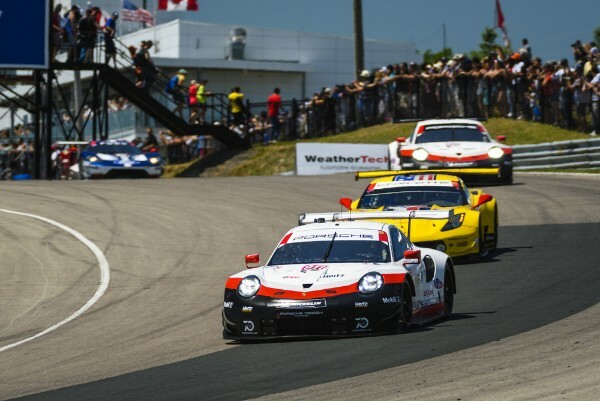 Porsche concluded round six of the IMSA SportsCar Championship in Bowmanville/Canada on positions four and six after a long time in the lead. With the #911 Porsche 911 RSR, the duo Patrick Pilet from France and Britain’s Nick Tandy narrowly missed out on a podium finish in fourth place. During Saturday’s qualifying, Tandy set a new lap record for GTLM vehicles in the Canadian Tire Motorsport Park and posted pole position. Sharing driving duties in the sister car was the current winner of the Le Mans 24 Hours, Laurens Vanthoor from Belgium, and New Zealander Earl Bamber. Both Porsche 911 RSR racers were at times looking good for a one-two finish, but were thwarted by many safety car phases and bad luck with the strategy. After round six of the season, Porsche ranks third in the manufacturers’ classification of the GTLM class. Fans at the Canadian Tire Motorsport Park on the outskirts of Toronto were treated to a gripping and turbulent race with six safety car phases. Under clear blue skies and with a temperature of 27-degrees Celsius, both Porsche 911 RSR got off the line well in the GTLM class. Tandy took up the race from pole position, with Vanthoor making up one position to manoeuvre the #912 into third place. In the first hour of racing the safety car had to be deployed three times. Both Porsche racers used the first safety car phase for perfect pit stops and by the third safety car phase had moved into the lead. The 510 hp 911 RSR race cars then came in for their second pit stop and driver change. Tandy handed the car off to Pilet, with Bamber replacing Vanthoor at the wheel. Unfortunately a jam in the pit lane due to many cars pitting resulted in both cars losing positions. In addition, technical problems with the starter of the number 912 car cost even more time. Pilet and Bamber rejoined the race in positions four and eight. Just a few laps after the pit stop, Bamber’s 911 RSR suffered a puncture and had to return to the pits. Three more safety car phases followed over the remainder of the race. Shortly before the flag, Pilet and Bamber had fought their way up to positions two and six. In the battle for the lead, Pilet was blocked while attempting to lap a slower car, and two opponents immediately grabbed their chance to get past the Frenchman. In the GTD class, Wright Motorsports fielded two 911 GT3 R, with Porsche Selected Driver Christina Nielsen (DK) and Patrick Long (USA) finishing ninth. Michael Schein (USA) and Wolf Henzler from Germany concluded the race in Canada just one place behind. 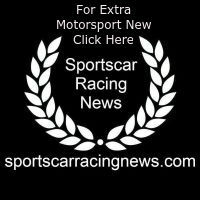 Round seven of the IMSA SportsCar Championship takes place on 21 July at Lime Rock Park in Lakeville/USA.